How you market and advertise your business directly affects its success. 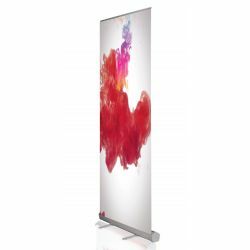 Whether you need a portable banner to showcase your products or services at a trade show or you’re just looking for a new addition to your store or office, our retractable banner stands are a fantastic option. We’re proud to be a trusted name in the print fulfillment service industry, and we look forward to working with you. Get the best deals on high-quality, professional advertising materials when you shop at 777 Sign. Our retractable banner stands have endless applications. Because they’re retractable, they’re perfect for bringing on the road to exhibitions, trade shows, and other business events. You can use them to drive brand awareness with your company’s logo, or make a clear list of the products or services you have for sale to attract new customers and clients. Our retractable banners are excellent investments for any business. If you need one fast, we have you covered; same day processing is available for orders placed before Noon PST. If you have any questions, don’t hesitate to call our customer service team at (702) 754-6360, or shoot us an email at info@777sign.com, and we’ll respond quickly. 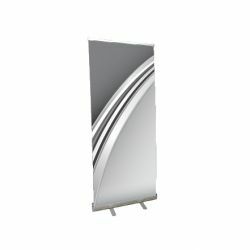 We’re confident you’ll be thrilled with our attractive, durable retractable banner stands. Place your order online today, and see why today’s savvy business owners consistently choose 777 Sign.